Explore the best attractions of Salt Lake City with a top-rated tour guide on a 2-hour VIP sightseeing tour. You'll receive special attention on this small-group tour of no more than 6 passengers. 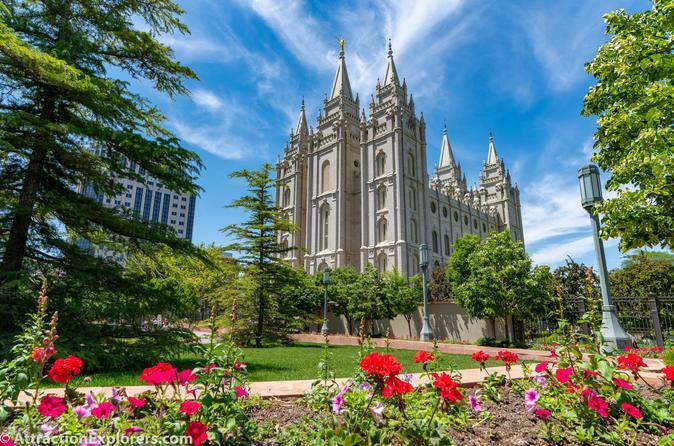 Discover Utah's #1 tourist attraction, Temple Square, on a guided walk through the flower gardens and century-old buildings. Travel historic Brigham Street to admire 150-year old mansions and hear their charming tales. Experience the historic monuments and mountain views on Capitol Hill and tour the 2nd most beautiful state capitol in America - the sight of Hollywood movies. Enjoy a scenic overlook of the city and Rocky Mountains. Visit the historic Union Pacific train station to hear tales of America's first transcontinental railroad.